The River Market area is one of my favorite places to photograph; the historical significance of the buildings as well as the aesthetics of their brick exteriors provides a great urban environment to shoot in. 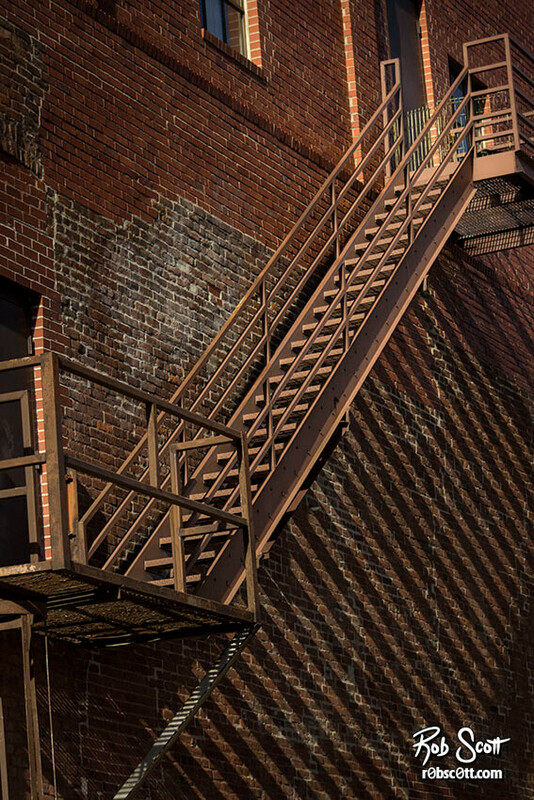 As I got out of my car on this winter morning, the light peeking out from the sun lit this fire escape in a truly majestic way. I snapped the frame as quickly as I could to capture the moment forever.